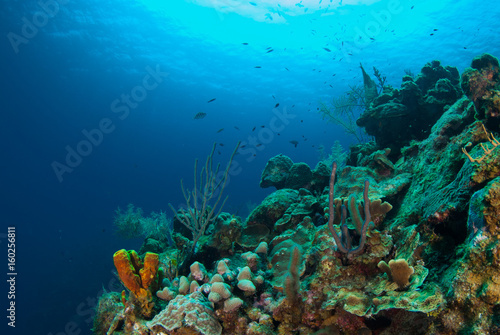 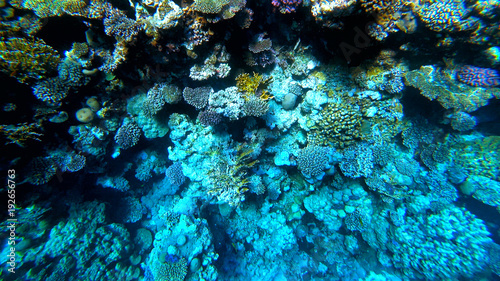 Underwater view of the coral reef. 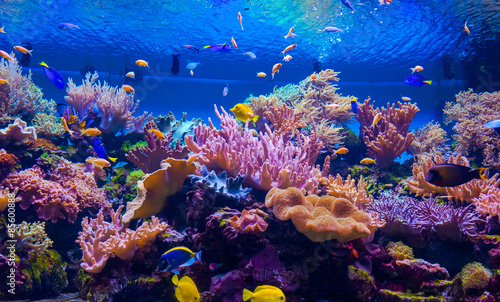 Underwater world with corals and tropical fish. 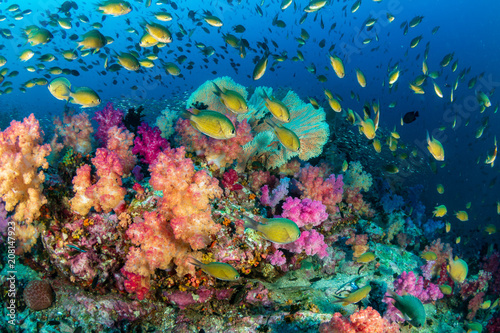 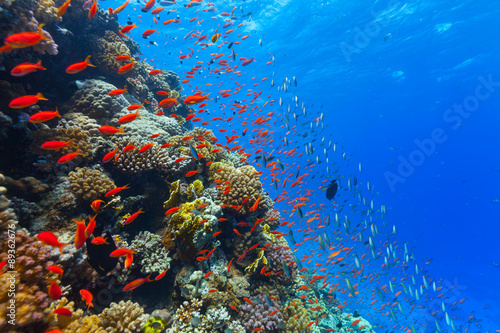 Colorful coral reef fishes of the Red Sea. 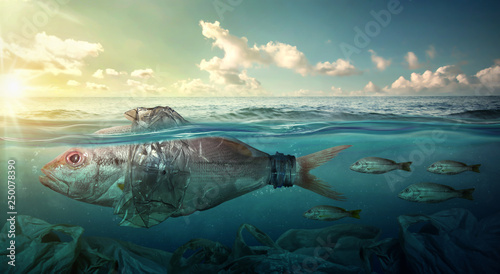 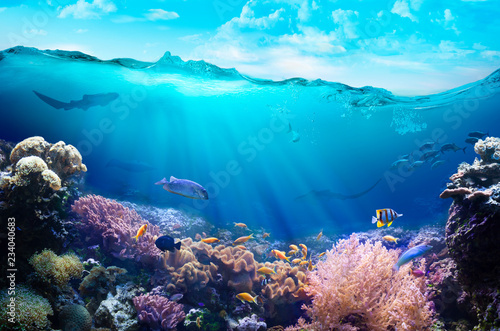 Underwater scene. 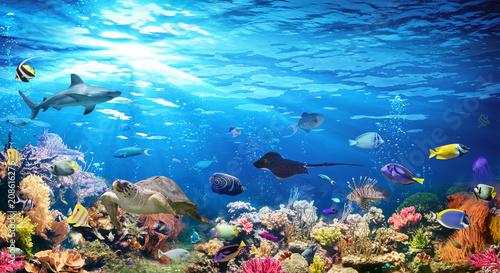 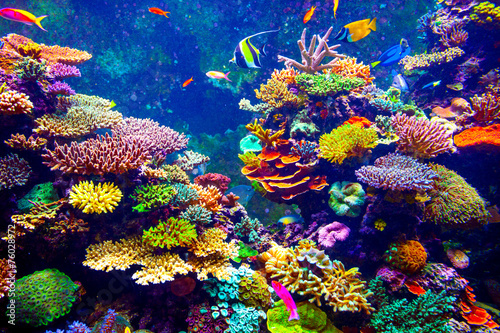 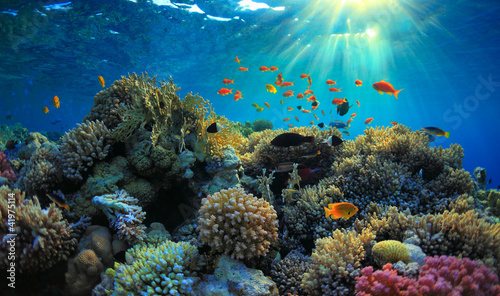 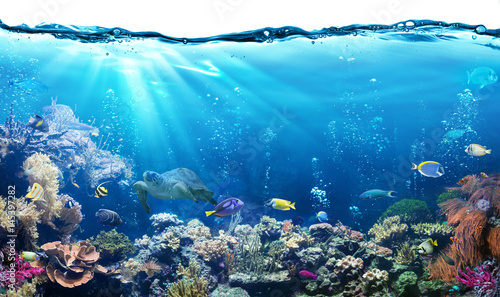 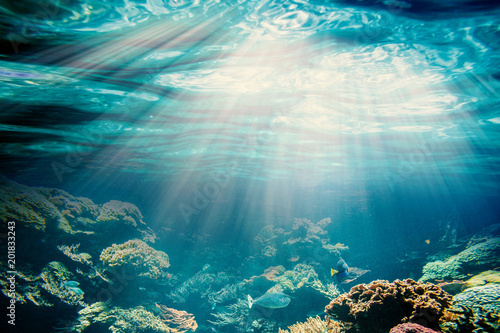 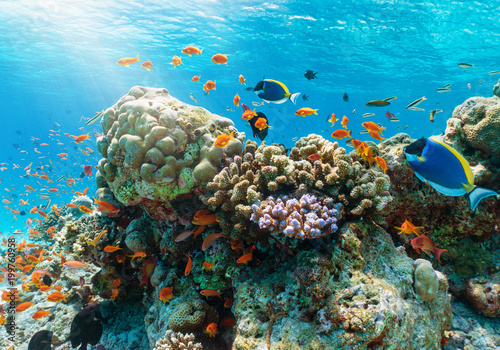 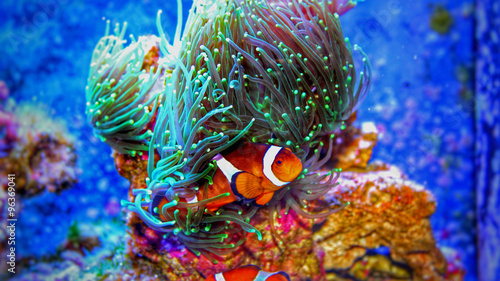 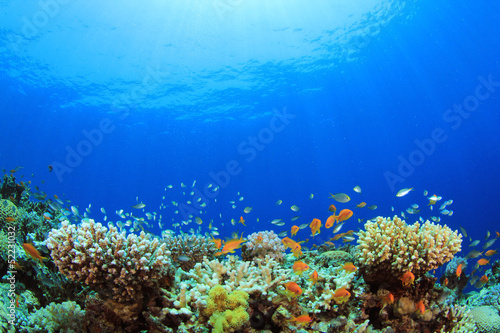 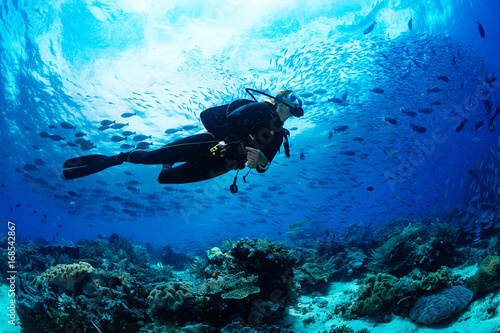 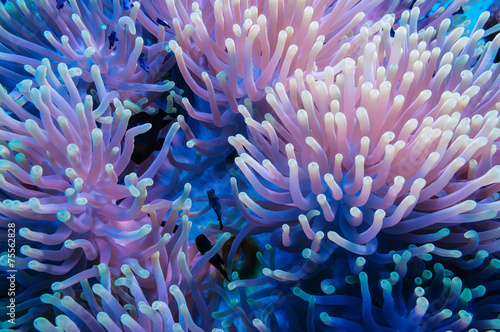 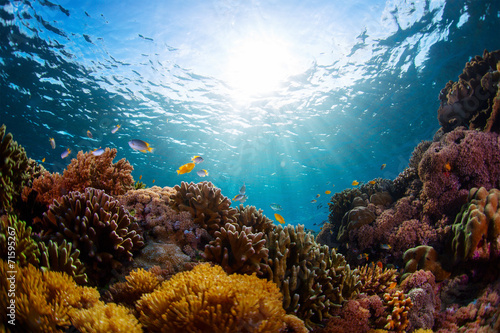 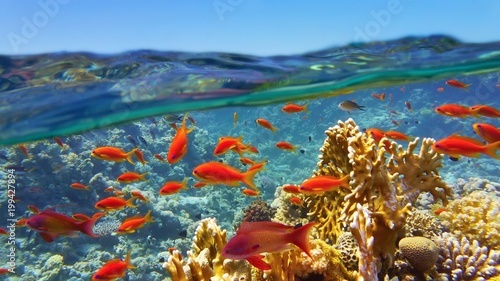 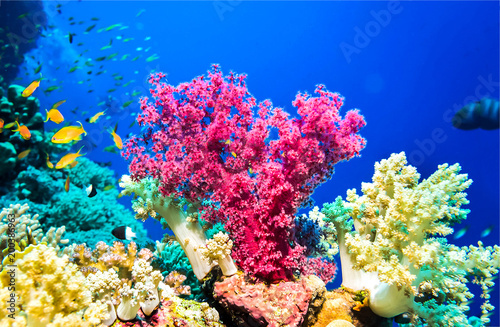 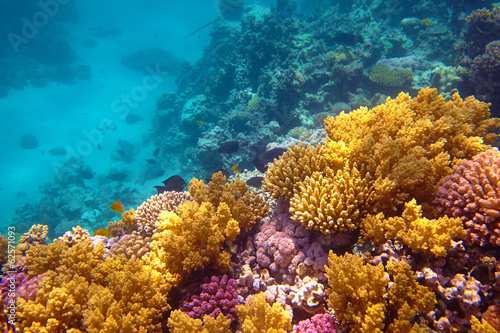 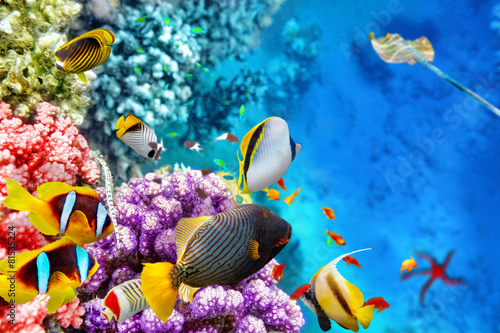 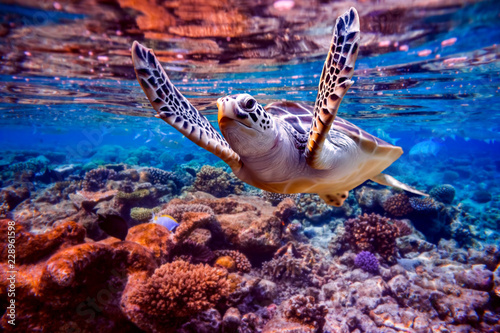 Coral reef, colorful fish groups and sunny sky shining through clean sea water. 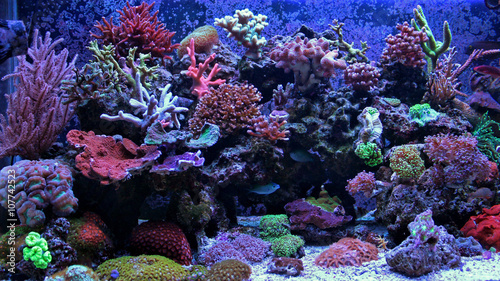 Reef tank, marine aquarium. 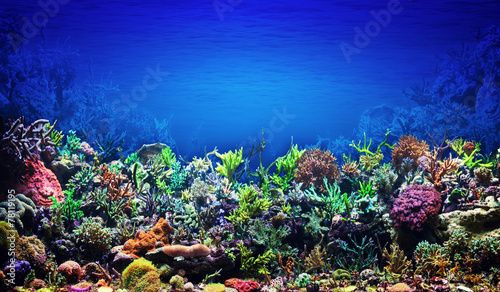 Blue aquarium full of plants. 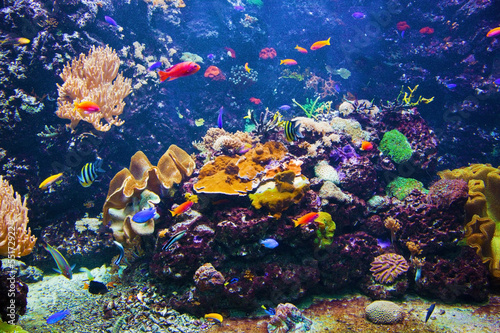 Tank filled with water for keeping live underwater animals. 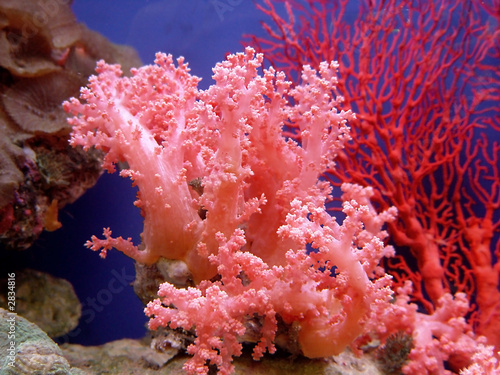 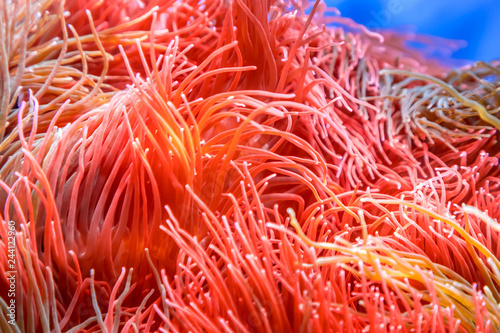 Gorgonaria, Sea Fan. 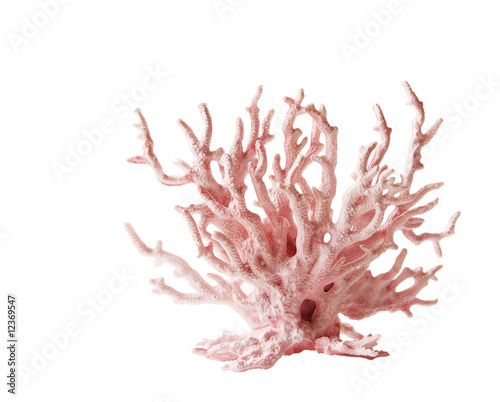 Clavularia. 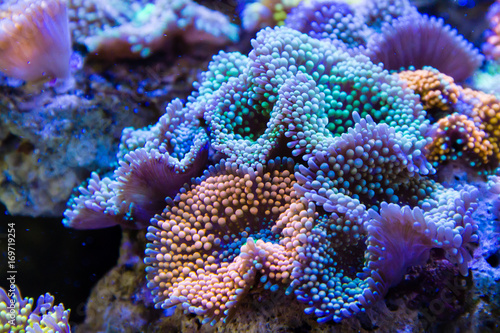 Zoanthus. 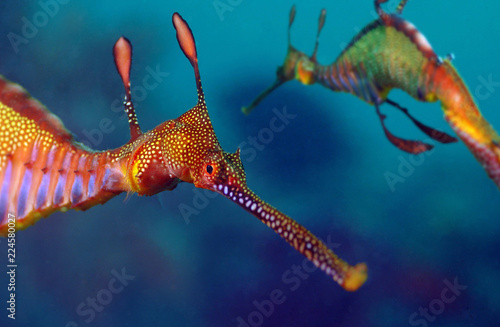 Zebra apogon. 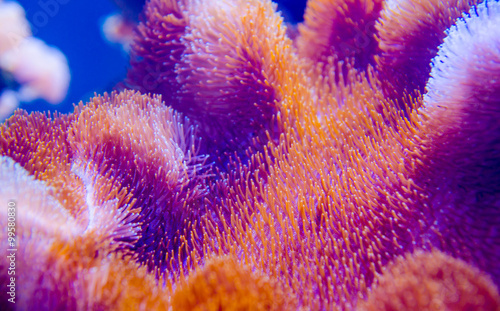 Zebrasoma. 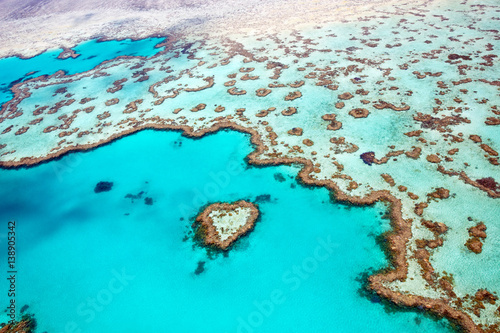 Percula.